If you love nothing better than feeling refreshed, reinvigorated, fit and healthy throughout your day, the chances are you’ve already spied the benefits of adding smoothies to your repertoire of meal options. Many people still have an outdated concept of smoothie. They may think it’s a glorified milkshake, a banana flavored gloop or a drink for those people who hate vegetables and fruit and see this as an easy way of seeking nutrients. Smoothies are so much more than this. They can be a cocktail of more antioxidants, vitamins, and minerals than you can shake a stick at. They are delicious, nutritious and simple to make. So, next time you’re heading for the snack drawer why not consider a smoothie instead? It just might change your life. It’s a great way to save time during your day also. Most people who long for the flavor and health benefits of smoothies start out with the wrong equipment and then fail to make a decent drink. They end up with some lumpy mess that borders on the inedible. Instead, head to Best Comparer to seek out unbiased reviews of the finest smoothie makers on the market. Depending on your budget you can secure a small smoothie maker that fits in with your kitchen, doesn’t take up too much space and will have you intuitively making expert smoothies in minutes. Remember the Popeye cartoon with the sailor who had the most bulging set of biceps known to mankind because he used to guzzle spinach? This was an attempt to get the nation eating their greens. In the twenty-first century kids and adults alike don’t fall for this mind trickery. Instead, there’s a need to excite the nation with a new way of getting the necessary vitamins, mineral and fiber into their diet. 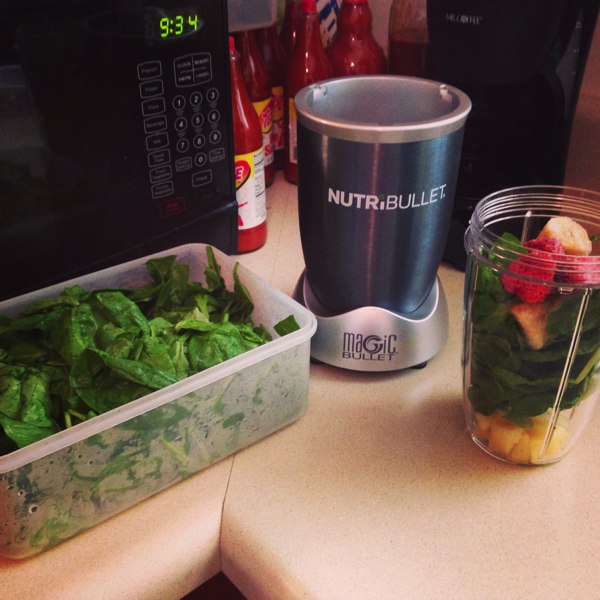 Using a smoothie maker, you can create a delicious liquid meal or snack full of spinach, kale, mint and wheatgrass. The antioxidants contained within these leafy green vegetables will increase the levels of iron in your diet, make you feel more alert and energized and will allow you to promote positive heart health. The easiest way to get your little darlings to eat their greens or vegetables is to hide them. While you are a dab hand at hiding the carrots in the spag bol, it can be harder to hide the broccoli. Instead, you can have some fun with your little cherubs and concoct some of their very own smoothie recipes. Go for the rainbow and create some colorful combinations. How about a pomegranate, mandarin and ginger smoothie? Or what about a tropical guava, pineapple and mango creation? The possibilities are endless, and it’s the easiest way of ensuring your kids receive the nutrients they need. Smoothies really can change lives for the better. They are simple to create, you can use any fruit or vegetables languishing in your cupboards, and you can have fun while creating new recipes. Whip out your smoothie maker, put a rainbow of fruit and veg on your table top and get creating today.